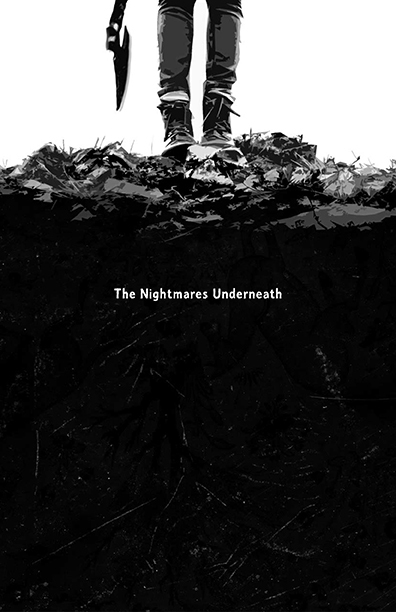 Print versions of The Nightmares Underneath can also be purchased at Lulu, for $25 in softcover and $35 in hardcover. 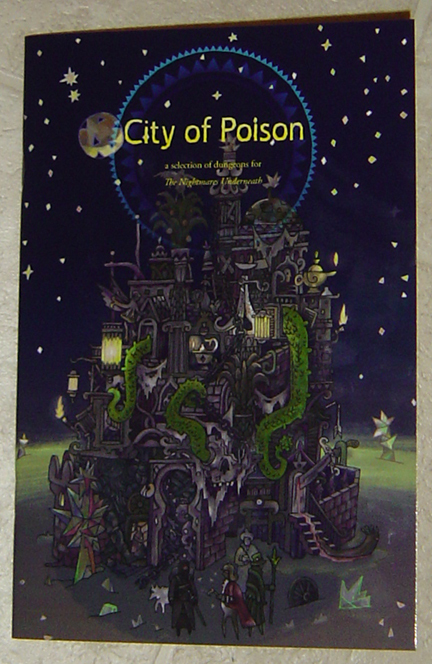 Both versions are trade sized (6 x 9 inches) and include cream-coloured pages instead of white pages. 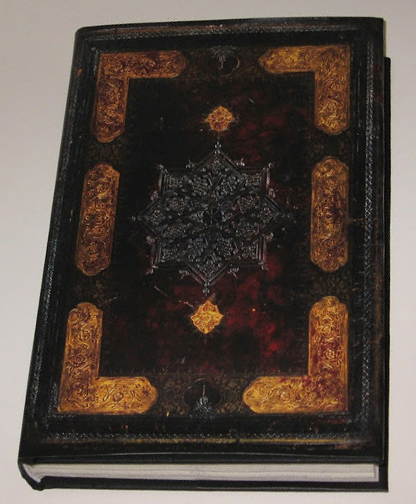 The Lulu hardcover version includes a black linen cover with a matte finish dustjacket and sewn binding that lies flat, making it probably the most attractive and useful print version of all. Read a review by Christopher Helton, at EN World. Read a review by Ben L. at Mazirian’s Garden. Read a review by Paul Baldowsky, at the Boreders blog. Read a review by Patrick Stuart, at the False Machine blog. Over 700 individual mutations, all with their own descriptions. Physical and mental mutations, as well as psychic and supernatural powers. Several different types of mutation-generating tables, from mad-libs to genre-specialized lists of specific details. Procedures for using mutations in post-apocalyptic, sci-fi, superhero, and fantasy campaigns. Procedures for creating aliens, demons, and monsters. 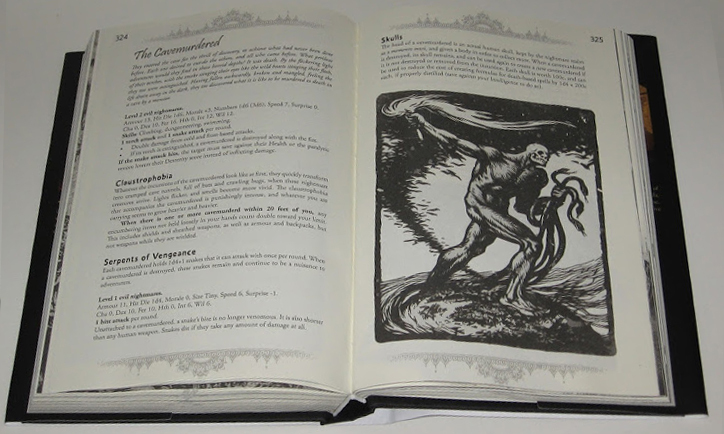 The revised edition also contains procedures and extensive tables for generating scientific devices and magic items, exactly the kind of equipment strange, mutated creatures might be carrying around. 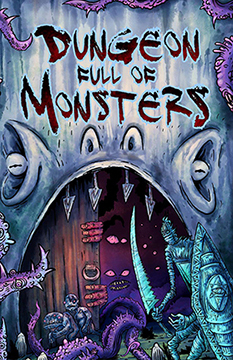 It has also been re-organized for easier use, numerous mutations have been revised, new mutations have been added, and there are more tables for generating specific details for aliens, demons, monsters, mutant animals, and the various campaign settings. The RK series of modules are all set on the River Knife, as it winds its way down from out of the dim, dark mountains to the sea. 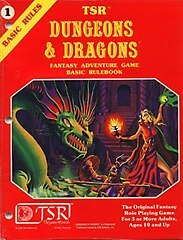 These modules are written to be compatible with both Labyrinth Lord (and thus any other old-school fantasy rpg) as well as Dungeon World. They feature a mix of dungeons, hexcrawls, random encounters, and intelligent villains. They can be played together as part of a sandbox campaign, or used individually as one-shots or dropped into an existing campaign. The element of horror features prominently in these modules. Knives in the Dark is available from DriveThruRPG in pdf for US$5 and in a print+pdf bundle for US$12. Print is a perfect-bound, softcover book in B&W with white pages. Knives in the Dark is also available from Lulu, as a softcover, staple-bound booklet in B&W with creme-coloured pages, for US$10. Read a review of Knives in the Dark on the Nerdwerds blog. The Tellurine Monastery has a serious problem—a band of evil wizards have stolen their holiest relic, the helmet of Saint Anglard, and fled. The abbot believes they are hiding out in one of the region’s many caves, judging by the recent increase in weird occurrences. But this sandbox adventure offers more than just a quest! Dragons prowl the valley, a beastman is on the loose, and there are tales of a haunted house up in the mountains somewhere, full of treasure. What sort of trouble will you get up to here? Evil Wizards in a Cave is available from DriveThruRPG in pdf for US$5 and in a print+pdf bundle for US$12. print is a perfect-bound, softcover book in B&W with white pages. Evil Wizards in a Cave is also available from Lulu, as a softcover, staple-bound booklet in B&W with creme-coloured pages, for US$10. Read a review of Evil Wizards in a Cave at the Geek Native site. Read a review of Evil Wizards in a Cave at the Nerdwerds blog. Read a review of Evil Wizards in a Cave at the Take On Rules blog. MARVEL at the malign magnificence of the Red Mummy’s terrifying tomb! FLEE when the God of Hellfire’s blazing tongue comes dancing down! The Third Verse is available from DriveThruRPG in pdf for US$5 and in a print+pdf bundle for US$12. 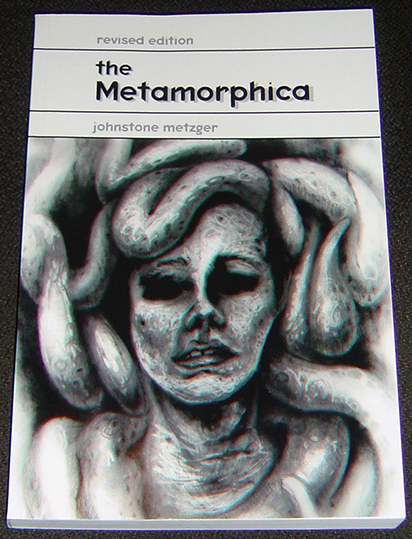 The print is a perfectbound, softcover book in B&W with white pages. The Third Verse is also available from Lulu as a softcover, staple-bound booklet in B&W with creme-coloured pages, for US$10. 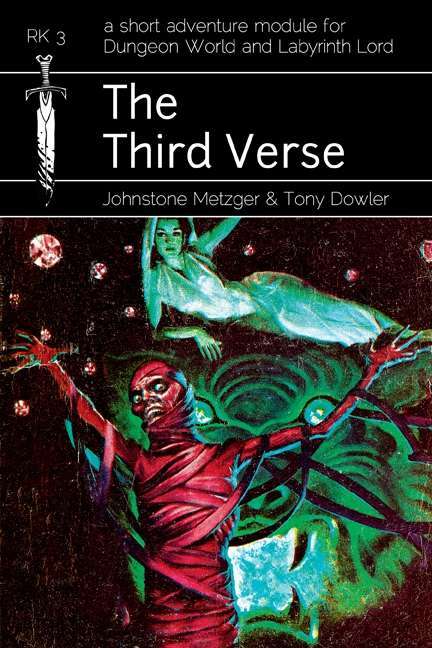 Read a review of The Third Verse on the Nerdwerds blog. Read a review of the Third Verse on Board Game Geek. What level is the LL version of The Third Verse for? Level 4 or higher; probably levels 4-8 are most appropriate. I’d like to see more adventures for Labyrinth Lord. The pbtA-derived rules implemented are quite nice. However: DungeonWorld (rules) doesn’t do it for me. It’s one of the (few) pbtA games that aren’t my cup of tea.